Think about the simple joy you can bring by remembering to tell someone "Happy Birthday !" on their special day! Imagine the goodwill you can build by doing this automatically for ALL your clients - EVERY year. The AdvisorNet Email Marketer system includes the ability to automatically send out Birthday E-cards! Contact our office to get the Birthday E-Card service activated for your account. The AdvisorNet Support Team will send you a copy of your e-newsletter list containing new columns for adding D.O.B. data for your clients. Simply add the D.O.B. & Salutation information for each contact that should receive a Birthday E-Card. Once your revised email newsletter list is ready, send your revised list to the AdvisorNet Support Team. We will check over the data for accuracy and then activate the Birthday E-Card service for your Account. 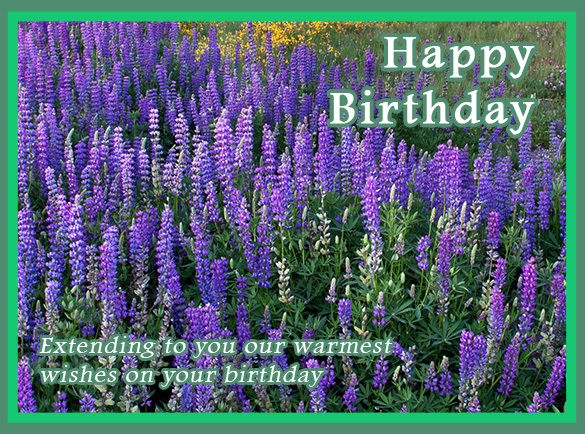 Once the Birthday E-Card service is activated all of your clients with DOB information will automatically receive a photo e-card (like the samples below) on the morning of their birthday. 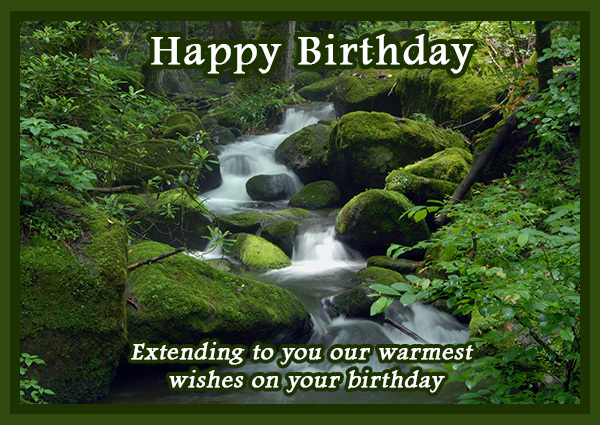 Birthday e-cards contain original nature images. A few samples are provided below for your review. NOTE: Birthday Card images are automatically changed EVERY January 1st for the upcoming year.